Are you familiar with the east of the Netherlands? 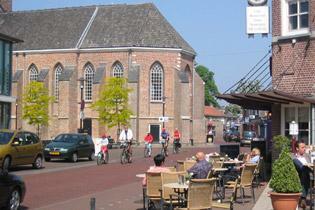 With this holiday we would like to present to you three of our favourite towns: Zutphen, Nijmegen and Doesburg. All three have attractive old town centres: very old, welcoming and full of culturally interesting things to see. 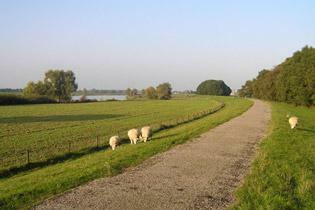 Moreover, the surrounding countryside is well-loved by cyclists for its diversity: leafy country estates, grand mansions, rivers, farmland, woods... Beautiful rural regions such as the Rijk van Nijmegen and Montferlant offer gentle inclines. Finally, check out the fine hotels we have selected for you and your mind will be made up. Behind the dunes you’ll discover a diverse hinterland with multicoloured bulb flower fields, lovely historical towns and all sorts of tourist attractions. The Amsterdam - Bruges tour of historical towns. Wonderful cycling holiday through the Netherlands down into Belgium, past towns, villages, canals – on high-quality cycling paths. This tour is also possible with Bruges as the starting point. Short distance tour that brings to life Dutch stereotypes such as windmills, dikes, polders, wooden clogs, canals, bicycles, pancakes, tulip fields and traditional costume.